This beautiful well cared for home is move-in ready in sought after Franklin Crossing Village. Brand new laminate and carpet throughout the living areas and bedrooms. Spacious downstairs open floor plan. Beautiful low maintenance brand new backyard. Enjoy summer days under the covered backyard patio. Upstairs dedicated laundry room. No Mello Roos! 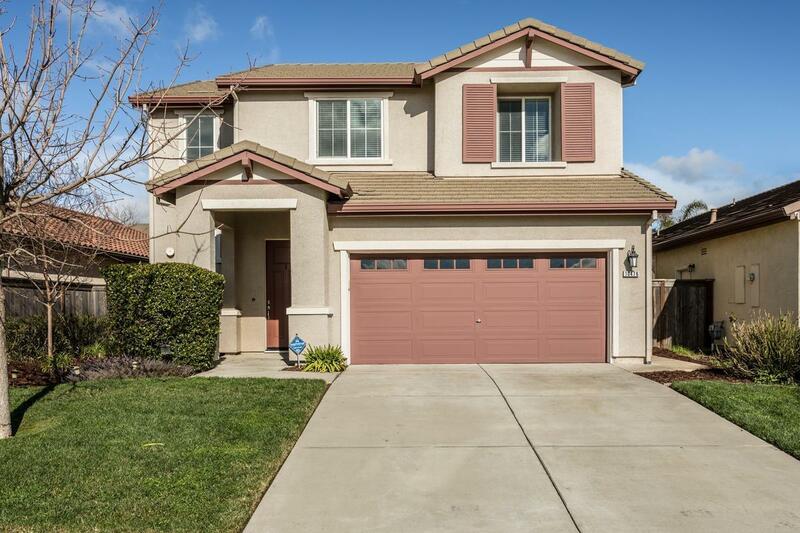 This home is located near shopping and desirable schools. Easy access to Interstate 5 and Highway 99.